Open Exchange at its most basic is a network of artists and theatre makers.  Press Nights are a great opportunity to meet fellow Open Exchange Members and celebrate the season’s productions with the creatives and Exchange staff. On the press night of WEST SIDE STORY on Thu 11 April 2019, please form a queue at the mezzanine level from 6.30pm, where tickets will be issued on a first come first served basis, one ticket per member, from 7.20pm. Please note that this will be a very busy night and tickets are subject to availability.